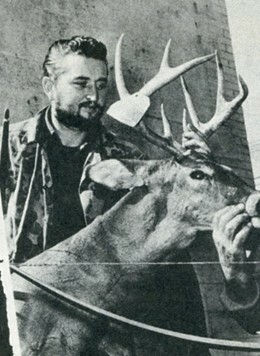 Bob Swinehart forever etched his name, into the annals of bowhunting history after becoming the first stick bow hunter to harvest the Dark Continents deadly "Big Five." 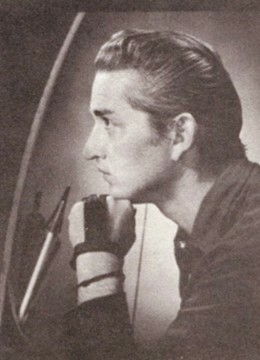 Hill euphemistically called the creatures Africa's "notorious entourage." 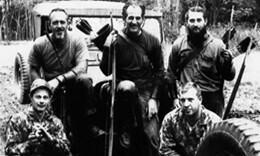 Whatever appellation was applied, the fact is Bob Swinehart used a favorite bamboo longbow pulling about 100 pounds to down four-fifths of the dangerous African quintet. 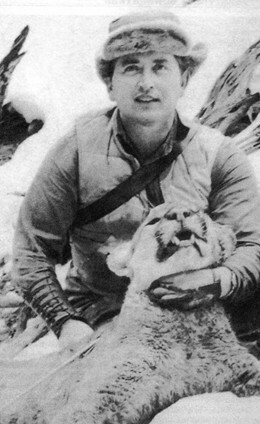 Only his leopard was killed with a recurve bow, its lethal shaft flashing from a 75-pound Ben Pearson takedown model that Bob was field-testing for his Pine Bluff, Arkansas, bowhunting friend. 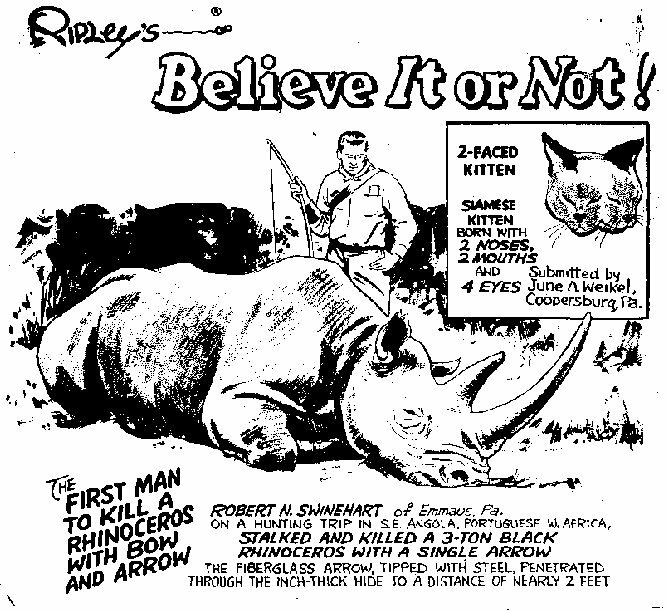 Afterward, Bob Swinehart was spotlighted in "Ripley's Believe It or Not" for arrowing his 3-ton black rhino. 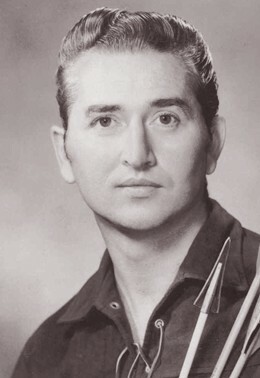 Howard Hill once said about Bob Swinehart, "During my many years of hunting with the bow and arrow, I have covered different parts of the world and have hunted with many archers. 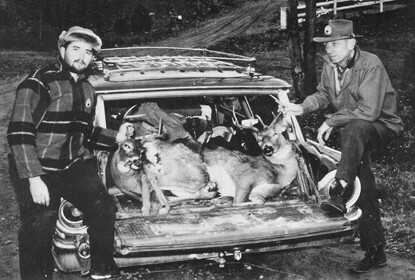 Of these bowhunters I am convinced that Bob Swinehart is the best big game hunter I have had the pleas­ure of being with on the trail and in the bush. "He not only is an extremely good shot with the bow, but in addition has a great deal of patience, is a fine tracker and possesses great courage... Also for a man his size - weight 170 and height 5 feet10 inches - his strength is prodigious. He can handle bows pulling over 100 pounds. 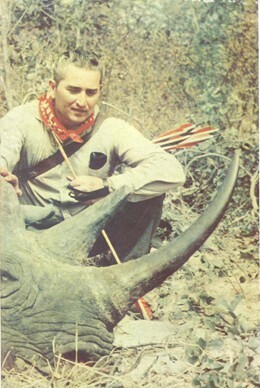 "When this young man sets out to down Africa's Big Five with bow and arrow -something he had been dreaming of since a boy I was confident that he would accomplish the task, providing he did not get himself killed first. My only criticism of him was that he took too many risks."